In this paper, we introduce delay-dependent control strategies for bilateral teleoperation systems in the presence of passive and constant input forces under time varying delay. We first design teleoperation systems where the local and remote sites are coupled by position signals of the master and slave manipulator. 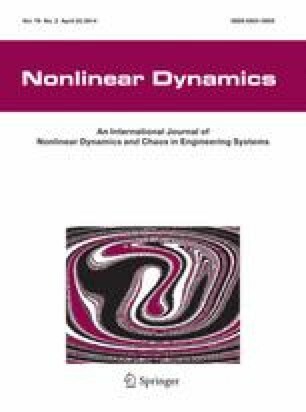 The design also combined undelayed position and velocity signals with nonlinear adaptive control terms to deal with the parametric uncertainties associated with the dynamical model of the master and slave manipulator. Then, we develop teleoperators by delaying position and velocity signals of the master and slave manipulator. Using Lyapunov–Krasovskii function, delay-dependent stability and tracking conditions for both teleoperators are developed in the presence of symmetrical and unsymmetrical time varying delays. The stability conditions are established in the presence of passive and constant human and environment interaction forces with the master and slave manipulators. Finally, simulation results are presented to demonstrate the validity of the theoretical development of the proposed designs for real-time teleoperation applications. Authors thank anonymous editor, associate editor, and reviewers for their thoughts and suggestion on our original submission which definitely improves the quality and presentation of this paper. This work is partially supported in part by Natural Sciences and Engineering Research Council of Canada (NSERC) Research Fellowship, Canada Research Chairs Program and University of Ottawa Research Chair Program.